*Shoes, Shirt and Tie Not Included. Accessories Sold Separately. If your favorite characters are from the House of Slytherin this is the robe for you. You can be Draco Malfoy, Vincent Crabbe or Gerald Goyle with this Slytherin Robe. Includes Black ankle length robe with attached hood, green accents, front close clasp and a screen printed Slytherin Crest on the front. Remember to pick up some of the great Harry Potter accessories to complete your costume. 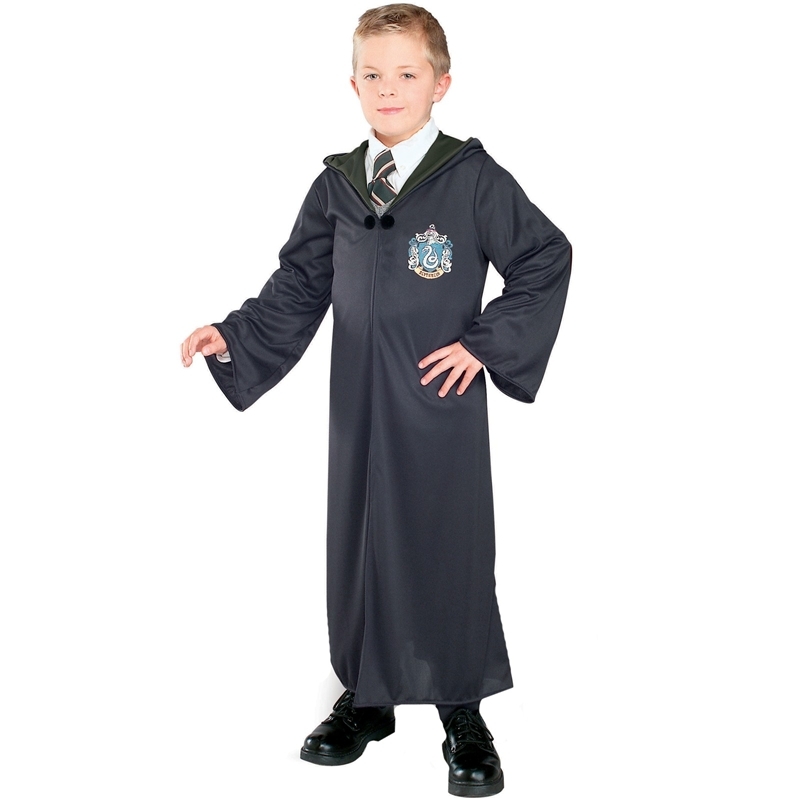 This is an officially licensed Harry Potter™ costume.